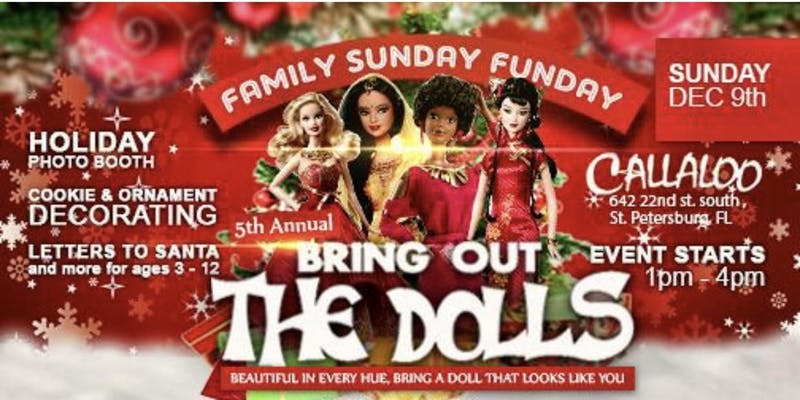 Bring Out The Dolls: “Beautiful in every Hue, Bring a doll that looks like You!” A Charity Fundraiser & Toy Drive Over the past six years our charity has collected thousands of dolls and toys across Central Florida and are looking to out do last year! This year’s toys will benefit the Boys & Girls Clubs of America & The Christmas Toy Shop. This year we are also supplying Christmas gifts for the residents of Alpine Health & Rehabilitation Center. To our guest Doll hostesses: Please repost our flyer and invite your friends! Our goal is to keep this event as simple as poasible by having each Doll bring 5 new friends to the event & volunteer either an hour before (12pm) or after the event. Thank you for your continued support, each of you continue to make this a great #charityevent year after year!